According to the Evening Standard, James Rodriguez’s father says the attacker is assessing his options amid reports Arsenal are trying to lure the on-loan Real Madrid star to north London. Unai Emery wants to bring in another attacker this month and Rodriguez has emerged as a target with the Independent claiming earlier this week that Arsenal have opened talks about signing the player. The newspaper says we’ve instructed intermediary agents to hold negotiations over a possible deal to bring Rodriguez to the Emirates Stadium on an initial six-month loan. The 27-year-old is currently on-loan at Bayern Munich from Real Madrid but he’s struggled to hold down a regular place under Niko Kovac and hasn’t started since November 3rd leading to speculation his spell at the Allianz Arena could be cut short. The Evening Standard says Madrid would be happy for another club such as Arsenal to take over the final part of his loan deal for a £3m fee and Rodriguez is believed to be open to the idea of moving to the Premier League. Now, the players foster father, Juan Carlos Restrepo, says that although Rodriguez is ‘comfortable’ in Munich he is assessing his options amid interest coming from England. “He is comfortable in Munich. I don’t have news about it, but there may be offers based on those rumours coming from England. “He is calm and he feels that he’s at a good level again and that he’s physically strong. 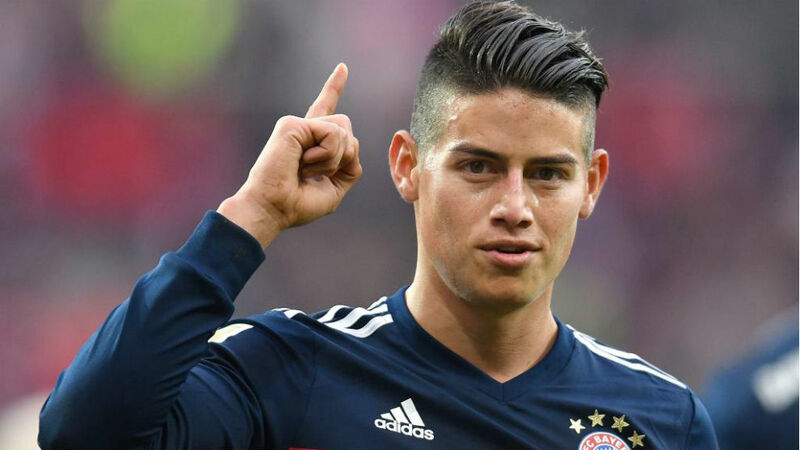 There is little point a player of Rodriguez’s quality staying at Bayern only to sit on the bench so you’d like to think he’d jump at the chance of a fresh start and the chance to play regular first team football again. The Colombian international is capable of playing anywhere across the attacking positions so he’d provide Emery with anther top class option in the final third if Arsenal were able to get a deal agreed. Rodriguez is no doubt hugely talented and I think he’d be a great signing if we could get him back playing like he was a few years ago, but I do have concerns over his work ethic as he’s not known for his work off the ball and we’ve seen with Mesut Ozil what Emery will do if you don’t put in the hard graft!